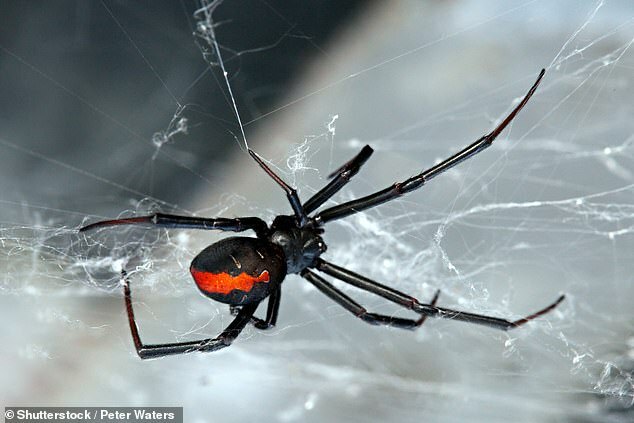 A 50-year-old man was left unable to urinate after being bitten on the foot by a black widow spider. The unnamed man, of Ontario, Canada, was bitten on the foot while walking through tall grass near his home, a case report said. He didn’t think much of it, until he was left so ill he went to hospital with excruciating pain and the inability to urinate. It is believed to be the first time the symptom has been recorded, according to the medics who published the tale. The spider’s venom is already known to cause high blood pressure, heavy sweating and muscle pain – all of which the man had. In Canada, black widow spiders are rare because they live in warmer climates, so it is possible it didn’t occur to the man that it was a deadly spider. After two hours, he began to feel pain. It gave him a restless night sleep and in the early hours he awoke with agonising abdominal pain. Doctors at his local emergency department initially thought his abdominal pain was caused by kidney stones and sent him home, Dr Matthew Carere, author of the case report, told Live Science. The man told doctors about his spider bite, but they thought it was nothing more than a coincidence. The man returned later that day because his abdominal pain had worsened, so doctors sent him to the larger Ottawa Hospital, for more extensive tests. By the time he had arrived to the emergency room, where Dr Carere treated him, he was sweating heavily and both of his eyelids were swollen. His blood pressure was extremely high and a CT scan revealed that his bladder was massively distended, which means it was swollen and giving the sensation of needing the toilet but nothing is released. When a catheter was inserted, it drained approximately one litre of clear urine, the case reported. Doctors found no evidence of a bite or rash when they carefully examined his skin. They suspected the man was bitten by a northern black widow spider, a species found in southern Ontario. He was treated with various drugs and opioids to control the pain, and by the second day he was able to use the toilet again. Latrodectism is the medical term for the illness caused by a spider bite. The venom from a black widow spider contains a variety of toxins including alpha-latrotoxin. This toxin leads to a release of various neurotransmitters, which communicate messages in the body, which may have been responsible for the man’s range of symptoms. The release of a neurotransmitter called acetylcholine may be the reason the man developed urinary retention, Dr Carere said. Changes in the level of acetylcholine, which activates muscles and helps with arousal, short-term memory, and learning, can have significant effects all over the body, including the ability to urinate. The doctors can’t definitively prove that the spider bite was the cause of the man’s urinary retention, Dr Carere said. The man was likely to have an enlarged prostate condition due to his age, which could have been the reason behind his difficulty to use the toilet at that time, Dr Carere admitted. 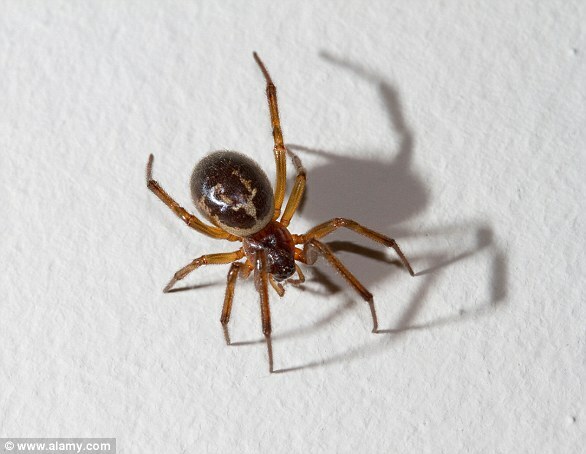 ‘Black Widow spider bites are exceedingly uncommon in Canada,’ the authors wrote in the Canadian Journal of Emergency Medicine. Black widows are found throughout the US, mostly in the south and west, keeping hidden in barns, sheds, stone walls, fences, woodpiles, porch furniture, and other outdoor buildings. While these spiders’ bites can cause fatalities in humans, they rarely do, according to the National Institutes of Health. Millions of false widows, Britain’s most venomous spider, have been found across the UK and the population is believed to be growing. The first thing you should do is wash the area thoroughly with soap and water to prevent infection – and don’t scratch, as if you break the skin there’s more chance for bacteria to get in. Cover bites with a plaster and apply an antihistamine sting cream to calm any inflammation or itching, says Stuart Hine, from the Natural History Museum’s identification and advisory service.